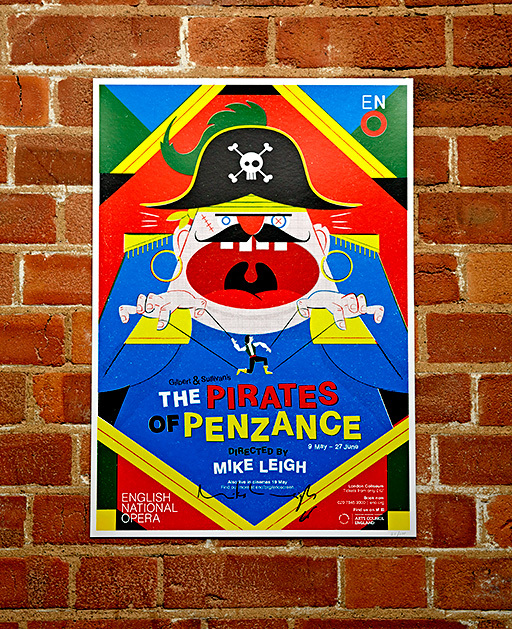 If you’ve been on the London Underground recently you will have seen the eye catching posters for Mike Leigh’s production of The Pirates of Penzance at the ENO, which have been brightening up tube platforms across the city. The Gilbert and Sullivan opera is the acclaimed film-and-theatre director's operatic directorial debut at ENO. Featuring swashbuckling pirates, flat-footed policemen, razor-sharp satire and memorable melodies, the work tells the story of the pirate apprentice Frederic and his love for Mabel, the daughter of Major-General Stanley. The posters, which have been designed by the son of Mike Leigh, are available to buy. Toby Leigh is an award winning London based illustrator and artist with an eye for the peculiarities of modern life. His controversial and anarchic Olympic tote bags were featured widely across the world’s media and were recently taken into the permanent collection at the V&A. Check out the tutorial Toby created for Digital Arts on creating a retro-style comic in Adobe Illustrator. The artist has now produced a limited edition run of 100 screen printed and numbered editions of the poster measuring 420mm x 594mm. 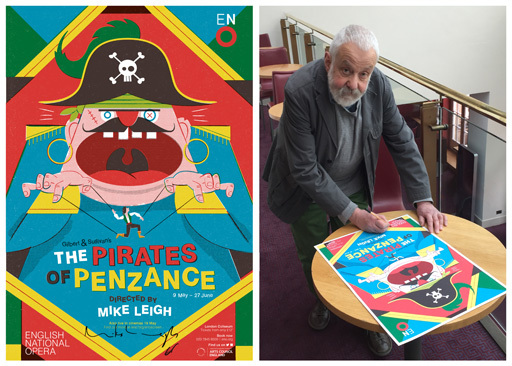 All posters in the limited print run have been signed by Mike Leigh. They are on sale for £120 each and can be purchased from the artist’s Tobatron site.